In addition to a variety of teas and teatime staples, we are pleased to purvey hard-to-find delicacies and treats from the homeland such as pin head oatmeal from Scotland, John West herring fillets in tomato sauce, Shippam's brand crab spread and even Scottish Haggis. 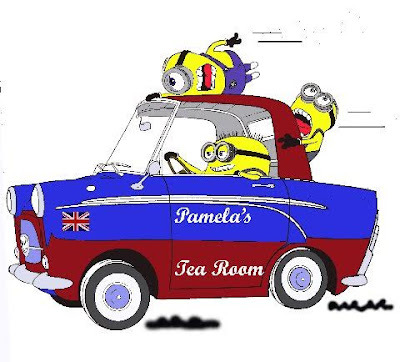 The tea room is known for sausage rolls, Cornish pasties, bangers & mash, savory pies, homemade soups, traditional tea sandwiches, English Trifle, Pamela's award-winning scones (including gluten-free scones), and our popular English-stuffed pancakes topped with a cheese sauce. Group tea parties up to 36 guests and well-behaved children are always welcome. Catering also available.